You want to be able to celebrate your special day somewhere unique that’s completely different to the usual wedding venues. While there are so many wedding venues to choose from in Cape Town, there’s nothing that could compare to saying, “I do” on a white-sanded beach, the sound of crashing waves in the background and the alluring view of the ocean to make for a romantic setting. Here’s a list of spectacular and unique beach wedding venues in Cape Town to consider. The Twelve Apostles Hotel & Spa is located along one of the most scenic routes in Cape Town. Offering an awe-inspiring view of the ocean, Twelve Apostles Hotel & Spa is in close proximity to Llandudno Beach, which is only a five-minute drive from the hotel. This unique venue is the ideal location if you’re looking to have a luxurious wedding that’s tailored-made to your personal preference. 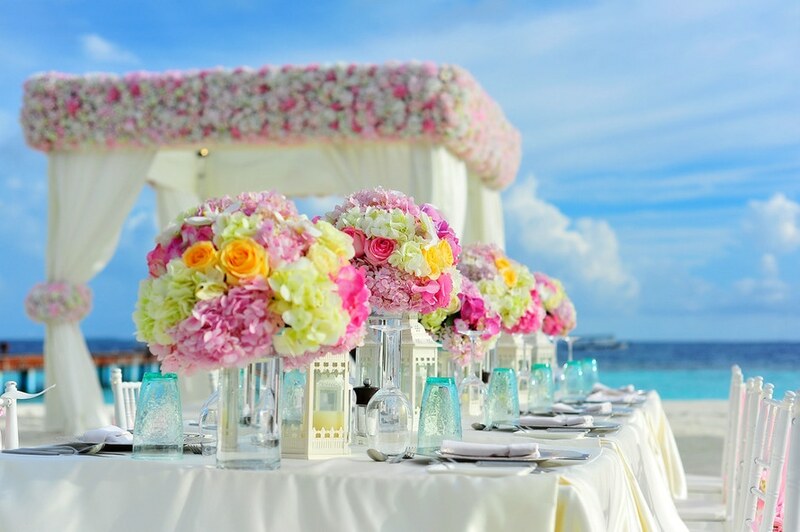 What’s more, you get a view of the ocean, and a cooling breeze while hosting your wedding in a sophisticated location. Tigger 2 Charters offers a unique wedding experience with a twist. The boat ride includes a panoramic view of the ocean with the silhouette of Table Mountain in the far distance. A wedding on the Tigger 2 Charters gives you beautiful scenery and an intimate setup. One of my favourites, On The Rocks is a restaurant situated in Bloubergstrand. As the name suggests On The Rocks is situated on the waters edge of the Atlantic Ocean. This beach wedding venue has a spectacular view of Table Mountain and Robben Island. The restaurant can accommodate a wedding of up to 110 guests who get to enjoy the cigar lounge and balcony that overlooks the views of the ocean. Recently, more couples choose to go for a secluded wedding. So they invite fewer people to keep it personal. The Villa St James is just the right venue to host a secluded, exclusive setup for an intimate wedding ceremony. Ceremonies at the Villa St James take place in their lush garden, overlooking the beautiful ocean and mountains surrounding. If you want your toes to sink into soft sand accompanied by the sea, the team at Villa St James are able to arrange ceremonies on St James Beach and Kalk Bay. There’s no particular wedding destination that’s better than the other, it really depends on the preference of the couple. Beach weddings in Cape Town are very popular if this is your kind of wedding venue then be sure to visit each of the above-listed wedding venues to find the best one for you.